Liverpool are surely one of the best clubs in the world this season and they have been totally transformed into a new team since the addition of Mohammed Salah, Sadio Mane and Oxlade-Chamberlain in the last summer and the winter transfer markets. Despite witnessing a flawless display from his attackers throughout the season, Liverpool manager Jurgen Klopp is set to reinforce his team in the summer as he wants to challenge City for the league trophy in the coming season. In the German’s bid to build a very compact and strong team, Klopp is being tipped to sign Chelsea youngster Kennedy, who is on loan at Newcastle, having seen how ruthless the young Brazilian has been for the Magpies this season. 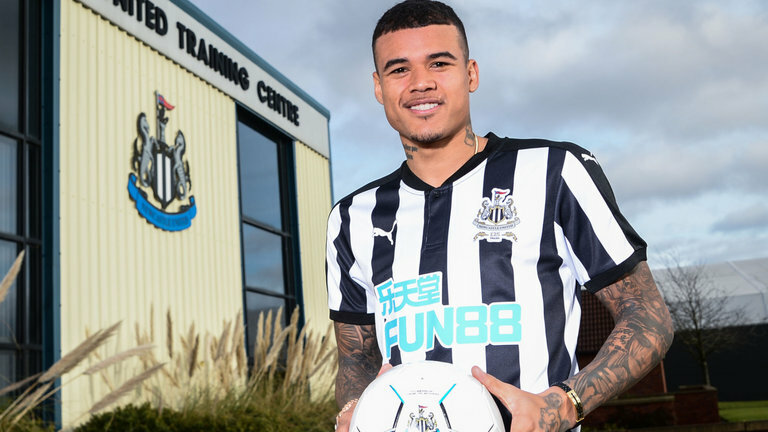 Kenedy has played a huge role in ensuring that Rafael Benitez’s side avoids being relegated to the lower division by the end of the season. According to According to a British publication The Chronicle, Liverpool will need to battle Bundesliga Champions Bayern Munich for his signature as they are hoping to replace ageing Arjen Robben with the youngster in the summer before the start of the 2018-19 season. Should Liverpool eventually lure the £54m-rated Brazilian to Anfield, he would provide stiff competition against in-form Mohammed, Sadio Mane and Bobby Firmino for a place in Klopp’s starting lineup. Meanwhile, the Reds have made it to this season’s Champions League final after a breathtaking 4-2 loss to Roma in the second leg of the encounter. Despite losing tonight’s encounter, the Reds managed to qualify with a 6-7 aggregate scoreline.